This book was recommended to me by an amazing lady (thanks Sue!) so I thought I’d give it a whirl. I’m so glad I did, because it’s full of tips for managers at any level (not just CEO’s) and it’s given me these two fabulous analogies to add to my list. Number two just makes me smile – I bet we’ve all worked with an Eeyore or two before! 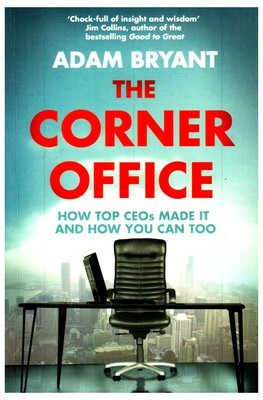 The book follows the rough format of interviews with different/famous CEO’s (though the chapters are on themes not people/interviews) and what can be learnt from all of them. I was mostly drawn to the people management tips, but there is also wisdom on time management, measurement, career advice and delivering results. One of my other favourite tips was around the ‘rule of three’ in terms of being a great manager; competence, confidence and caring. Such a simple mantra to keep in mind – I agree with the author that if you get these three right then you’ll be winning! Mindy Grossman of HSN uses Winnie-the-Pooh as a reference point. She says she likes to hire people who are Tiggers, not Eeyores. Here’s another approach: Be a coach, not a critic. And if I spend my time focusing on everything that’s bad, I’ll get nothing done. Or I could say, what are really the best things about the people I have? What makes them great, and how can I really improve them one or two notches? And if I spend my time on that, then I’ll have a great organization. Carol Bartz of Yahoo prefers the “puppy theory” feedback.